As a business owner or facilities manager, you want every interaction with your customers/clients to be positive because these exchanges define or reinforce your brand’s identity in their minds. A clean building, signage and parking area help to enhance your business’ image by creating a more welcoming experience. As a homeowner, a professionally power washed house, driveway and sidewalk can boost your property’s curb appeal by removing dirt, mold and mildew while freeing you to pursue your favorite weekend activities. 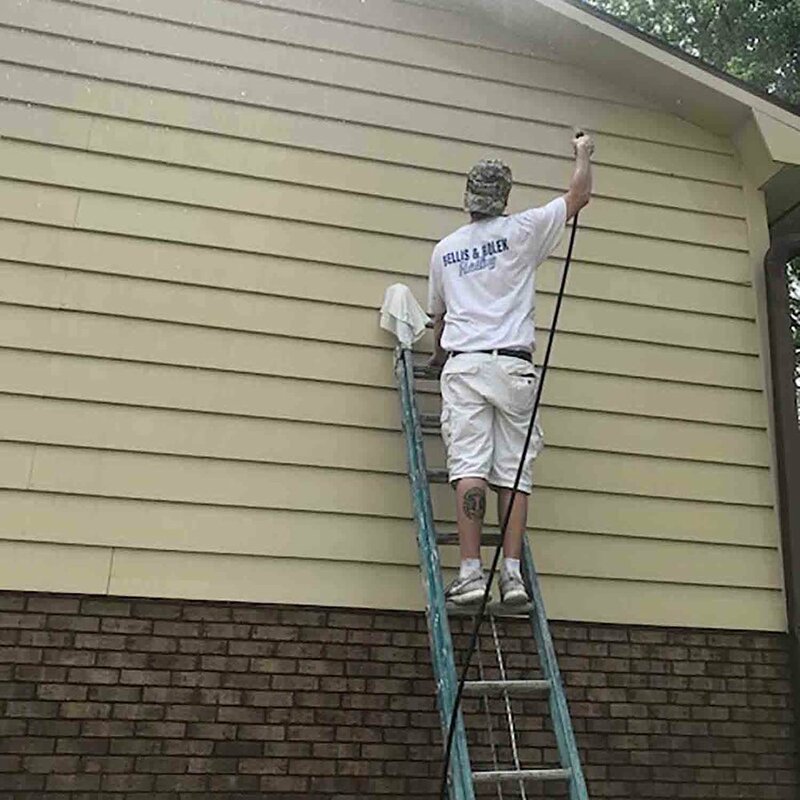 For more than thirty years, Bellis & Bolek Painting has offered, and will continue to offer, power washing in conjunction with the prep work we do for our commercial and residential exterior painting customers. Sometimes, however, property managers and homeowners would just like to enjoy the benefits of a freshly power washed exterior, so we have decided to draw on our proven know-how to provide the Bloomington-Normal area with a dedicated power washing service that is locally-owned, competitively priced and offers a range of options that can be tailored to meet your particular commercial or residential needs. For more information, call 309.827.4889. We look forward to speaking with you. 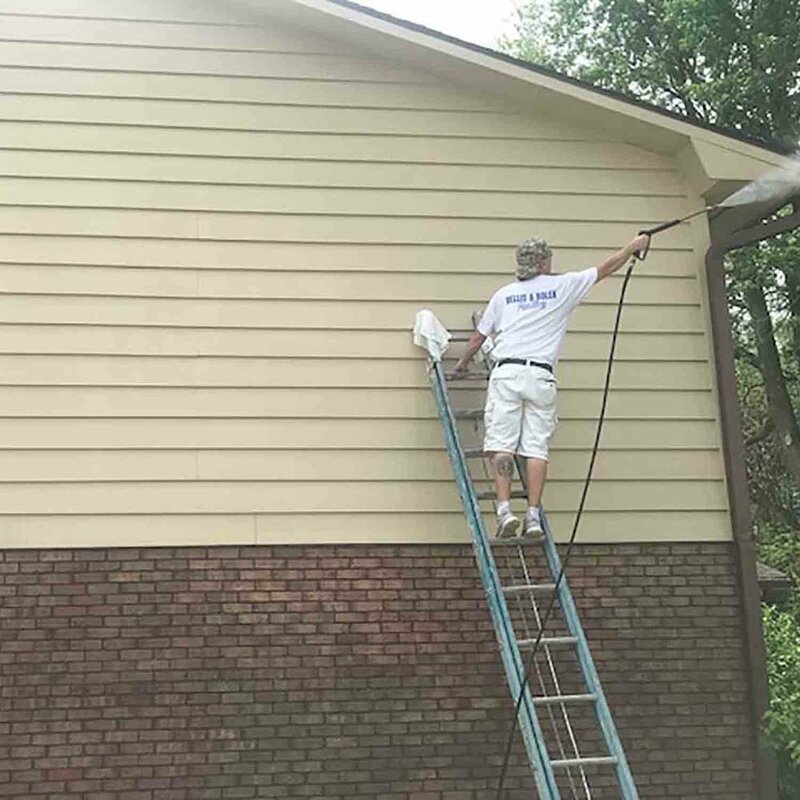 As these photos show, power washing can make years of grime and stains vanish from buildings, sidewalks and driveways, enhancing the appearance and curb appeal of any property.